University of Notre Dame faculty and students are encouraged to incorporate the theme of the Notre Dame Forum – “Going Global: Exploring the Challenges and Opportunities of Globalization” – in courses, speaker invitations, panel presentations and other events throughout the 2017-18 academic year. In a letter to the Notre Dame faculty, Rev. John I. Jenkins, C.S.C., the University’s president, wrote: “After an initial period of optimism about the prospects for greater prosperity and progress that would seem to accompany open borders, free trade, the spread of democracy and the ‘leveling dynamism’ of new technologies of communications and data sharing, we are newly aware of the widening gap between rich and poor, the persistence of conflict, epidemics, political authoritarianism – and of what Pope Francis has called ‘the globalization of indifference.’ At the same time, our government and elected officials face a demand for greater accountability to the people. Father Jenkins has invited Andrew Card and Denis McDonough, chiefs of staff to Presidents George W. Bush and Barack Obama, to discuss U.S. foreign policy in a keynote Notre Dame Forum event at 7 p.m. Oct. 4 (Wednesday) in the Leighton Concert Hall of the DeBartolo Performing Arts Center. 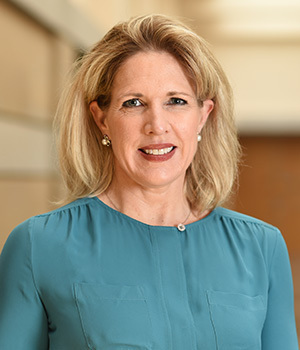 “Views from the West Wing: How Global Trends Shape U.S. Foreign Policy” will be moderated by Maura Policelli, executive director of the Global Policy Initiative in the new Keough School of Global Affairs. Card served as Bush’s chief of staff from November 2000 to April 2006 and was the individual who informed the president of the terrorist attacks on Sept. 11 during a visit to an elementary school in Florida. He is the second-longest-serving White House chief of staff in history. A graduate of the University of South Carolina, Card served in the Massachusetts House of Representatives for eight years. He joined the administration of President Ronald Reagan in 1983, serving in various roles, including deputy assistant to the president and director of intergovernmental affairs, where he was liaison to governors, state legislators, mayors and other elected officials. From 1988 to 1992, Card served in President George H. W. Bush’s administration as assistant to the president and deputy chief of staff, where he managed the daily operations of the White House. He also served for a year as U.S. secretary of transportation and coordinated disaster relief efforts in the wake of Hurricane Andrew in 1992. 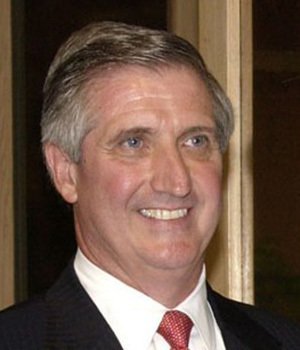 Card was acting dean at the Bush School of Government and Public Service at Texas A&M University and was executive director in the Office of the Provost from 2011 to 2014. He was appointed president of Franklin Pierce University in Rindge, New Hampshire, in 2014, serving until his retirement last year. McDonough was appointed chief of staff in January 2013 and served throughout Obama’s second term. He previously held several positions in the National Security Council, including deputy national security adviser. It was in that role that he was among the small group joining Obama in the White House Situation Room on May 1, 2011, monitoring the progress of the SEAL raid on bin Laden. A graduate of Saint John’s University in Collegeville, Minnesota, McDonough earned a master’s degree from Georgetown University’s Edmund A. Walsh School of Foreign Service. Prior to joining the Obama campaign in 2007, McDonough worked as an aide to the House Foreign Affairs Committee, focusing on Latin America; as a senior foreign policy adviser to Sen. Tom Daschle; legislative director for Sen. Ken Salazar; and senior fellow at the Center for American Progress. 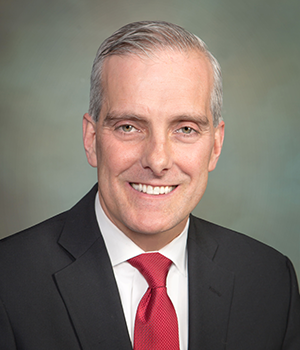 Since leaving the White House in January, McDonough has worked as a senior principal for the Markle Foundation, an organization that seeks to boost employment opportunities and expand job training. He also is a visiting senior fellow in the Technology and International Affairs Program of the Carnegie Endowment for International Peace. He also is executive fellow of the Global Policy Initiative in the Keough School. Policelli provides strategic direction for the Keough School’s Global Policy Initiative in Washington, D.C. Before coming to Notre Dame, she was chief of staff for Oxfam America and previously held that same position for two members of Congress, Jane Harman and Gabrielle Giffords. She has more than 20 years of experience in national politics, public policy and communications, including in the Obama administration as senior vice president for communications at the U.S. Export-Import Bank. She earned a bachelor’s degree from the College of the Holy Cross and a law degree from Georgetown University’s School of Law. Since its establishment in 2005, the Notre Dame Forum has featured major talks by leading authorities on complex issues, including the role of the presidential debates in our political process, immigration, sustainability, global health, the global marketplace, K-12 education, women in leadership, and the place of faith in a pluralistic society. Originally published by Dennis Brown at news.nd.edu on August 25, 2017.